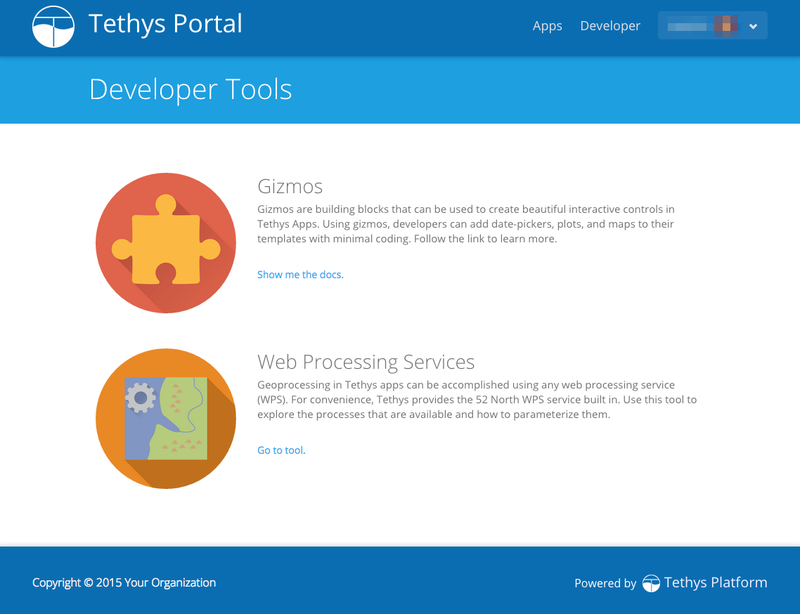 Tethys provides a Developer Tools page that is accessible when you run Tethys in developer mode. Developer Tools contain documentation, code examples, and live demos of the features of various features of Tethys. Use it to learn how to add a map or a plot to your web app using Gizmos or browse the available geoprocessing capabilities and formulate geoprocessing requests interactively. Figure 4. Use the Developer Tools page to assist you in development.